Lions, and tigers, and monkeys, and bears, and…. You get the point. Omaha’s Henry Doorly Zoo and Aquarium is full of animals, so consider stopping by this spring. 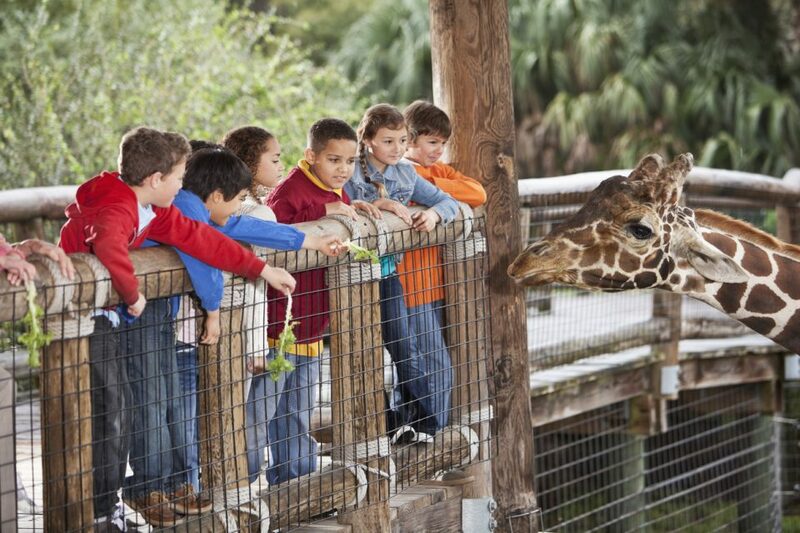 With so much to see, set aside the entire day and have a fun day at the zoo. If you visit the zoo, you will be amazed by all of the exciting exhibits. You might not have time to see them all, but make sure you can at least see a few of them. The Hubbard Orangutan Forest is a favorite for zoo-goers. The exhibit consists of orangutans and other monkeys. Don’t be surprised if they are propped up on the two 65-foot banyan trees, watching you from above. Kingdoms of the Night is another cool exhibit. This nocturnal exhibit will take you through a dry bat cave, a wet cave, and a canyon. You will also go through an indoor swamp. Save some time for the Desert Dome as well. This is the biggest indoor desert you will find in the entire world. You will experience desserts from Australia, the United States, and southern Africa. The Lied Jungle exhibit is another favorite. This is the largest indoor rainforest in the world. From the waterfalls to the gibbons, you will experience everything the rainforest has to offer at this exhibit. The exhibits aren’t the only things you can enjoy at the zoo. You can also hop on one of the rides. Take your kids to Sue’s Wildlife Carousel and then explore the grounds with the help of the Omaha’s Zoo Railroad. You can also see the zoo from the sky on the Skyfari or relax for a bit on the tram. The Omaha Zoo is close by, but what if you want to travel somewhere that isn’t nearly as close? You will need a reliable vehicle to take on road trips of various lengths. Stop by O’Daniel Honda in Omaha, Nebraska, to get a vehicle that is more than reliable. Hondas are also fun to drive. From the responsive handling to the cool features, your new car will make road trips more fun than ever before.